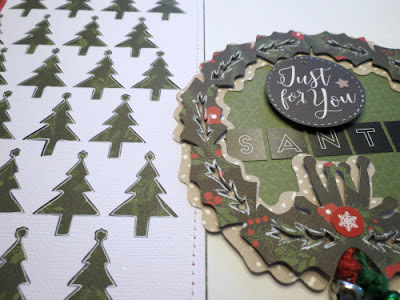 Today I'm going to show you how I use digital cut files to add layers to my page! 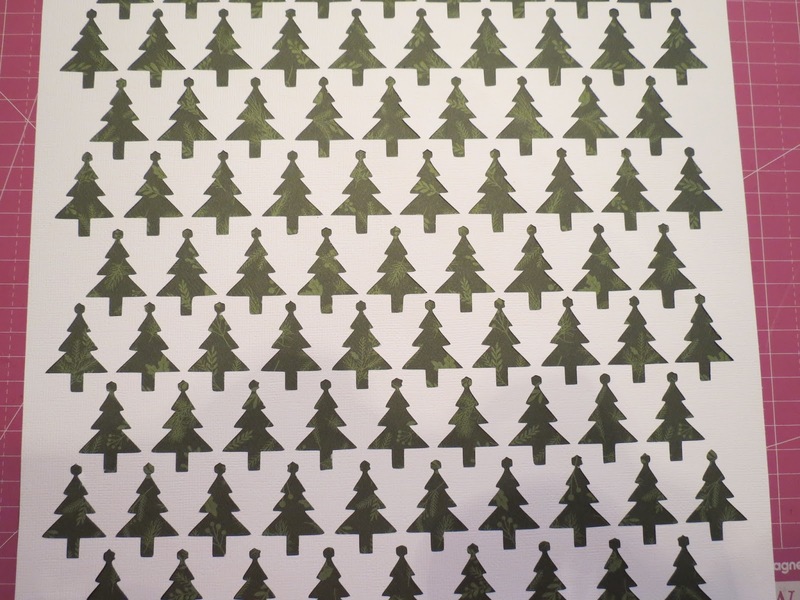 I start my layout off by selecting the Christmas Tree Background....from our exclusive cut files made for our kit members! 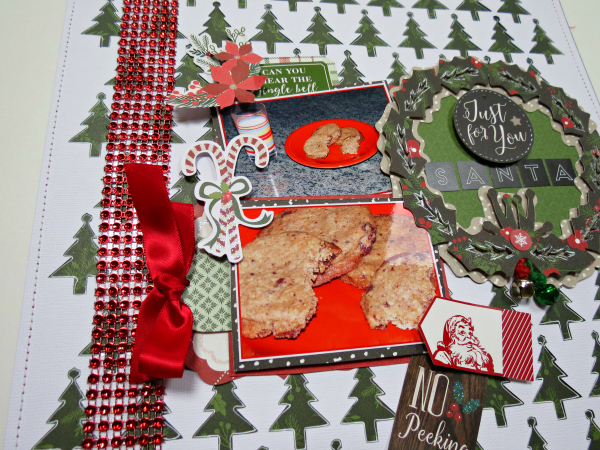 A background cut file can be a great starting point to creating a page with layers. 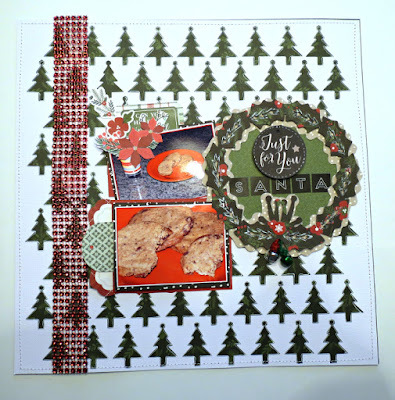 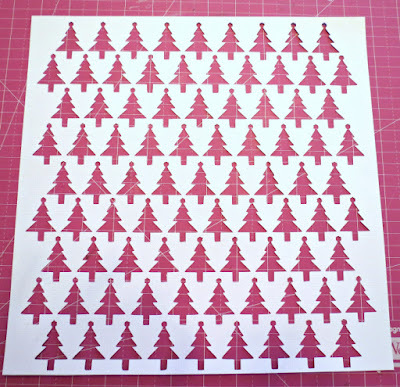 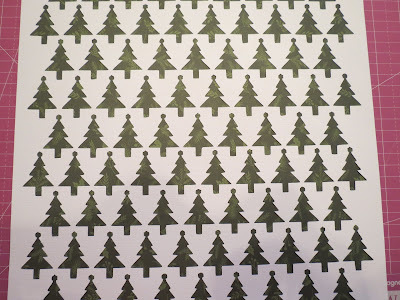 I cut the Christmas tree background from white cardstock....I love using white as a beginning point. 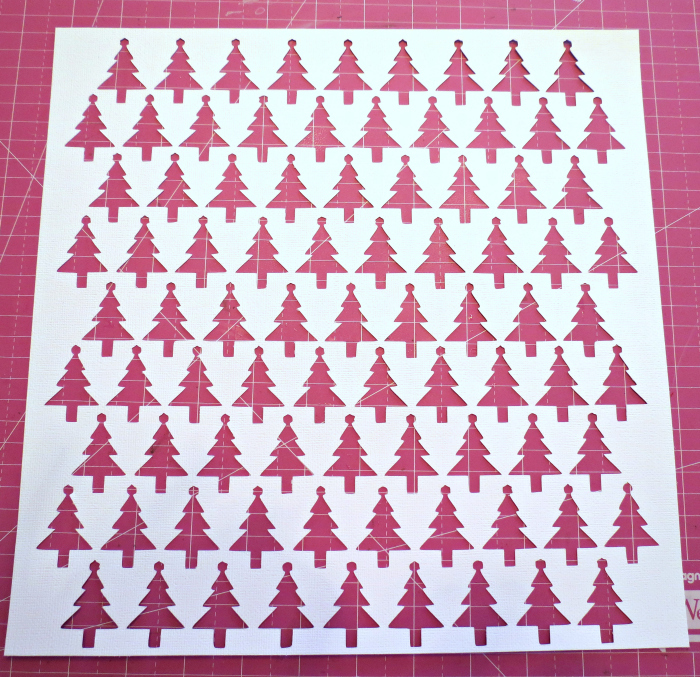 Then I back the open trees with one 12x12 patterned paper. 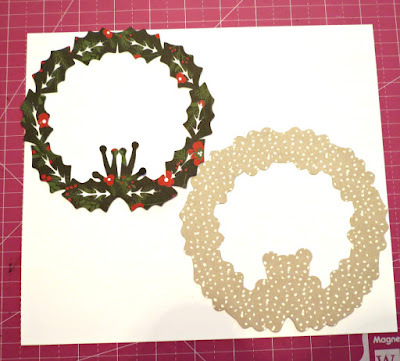 Once I decided on the size of the wreath, I then used the offset tool in Silhouette Studio to create an outline of the wreath...I used two different patterned paper for this. 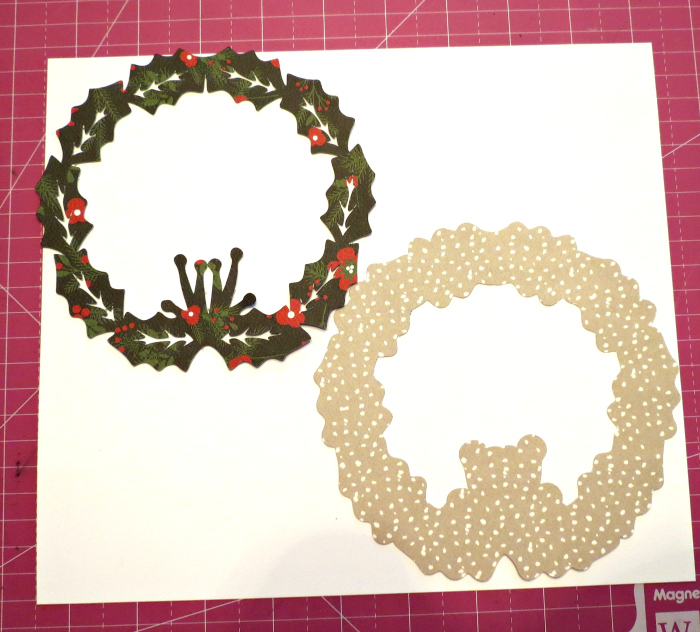 I added some foam dots underneath to give it some extra dimension. 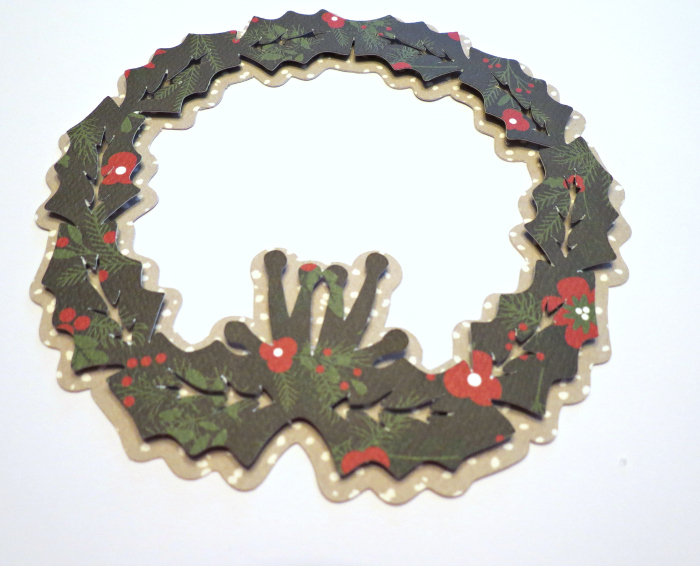 Once I was finish assembling the wreath, I used a white pen to outline the inside of the holly leaves and also outlined around the trees in background cut file. 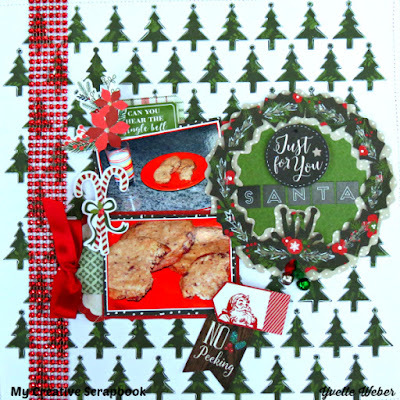 At this point I stop with the cut files...but if you like you can also add a title or another few more icons (design) to add as embellishments! 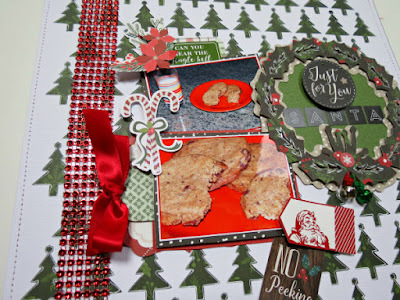 From here I started putting my layout together, I hope I inspired you to use your cut files on your pages!